Now that I&apos;m in my thirties, I&apos;ve gotten more serious about fighting the signs of aging. 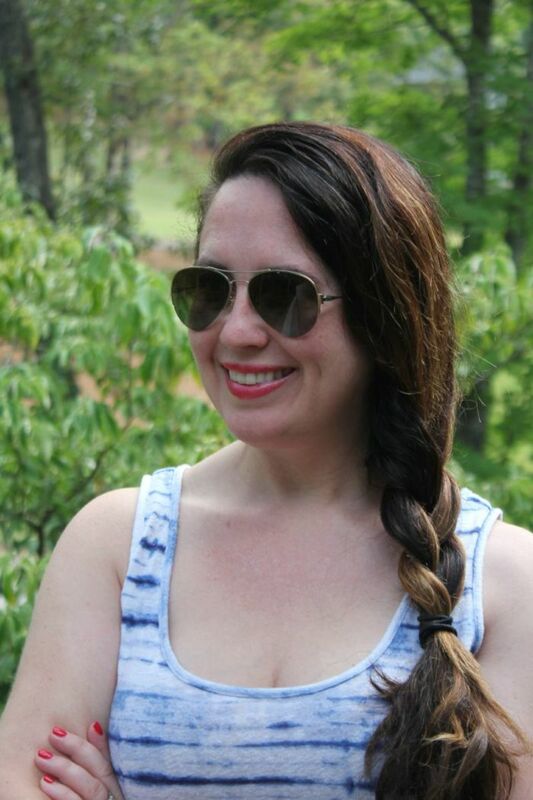 I&apos;ve been taking good care of my skin since my twenties, but my thirties is when I started to see pesky lines and and an age spot or two pop up. I know I can&apos;t win the war against aging skin entirely, but I can certainly put up a valiant effort. Just sayin&apos;. Hey, I don&apos;t mind looking my age, but I don&apos;t want to look ten years older. Who does? 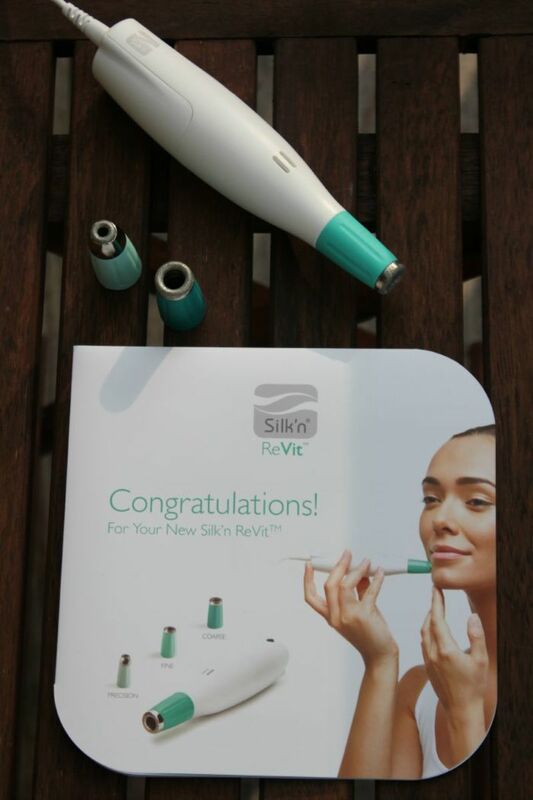 So, after hearing all about the amazing Silk&apos;n ReVit microdermabrasion tool at our event last month, I couldn&apos;t wait to give it a test drive myself! Who doesn&apos;t want diminished fine lanes and spots? This girl sure does! 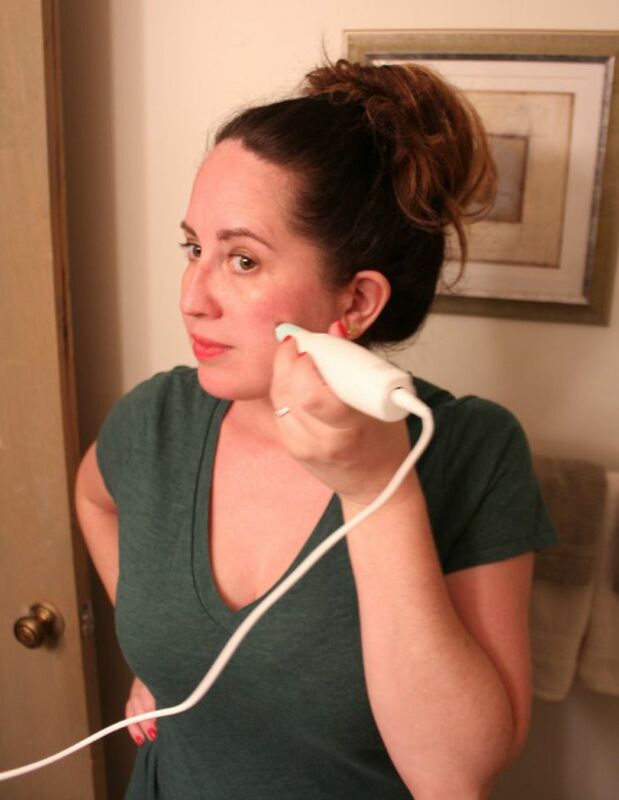 Since I&apos;m not quite ready to do anything beyond at home skincare, I was thrilled to learn that with the ReVit microdermabrasion tool, I could achieve the results from the comfort of my home that I could get from an in office treatment. I&apos;ve never visited a dermatologist for microdermabrasion because I have super sensitive skin and was afraid of how my skin might react to the procedure. I didn&apos;t want a Samantha after her chemical peel situation...Haha! So, the fact that the Revit comes with three different diamond heads for fine, course and precision exfoliation really sold me. I was able to start with the fine head and progress to more intensive abrasion once my skin got used to the process. So, let&apos;s talk about how the ReVit works. A gentle vacuum removes the topmost layer of your skin revealing an improved look in as little as a week. My goal when I started using the ReVit was to feel comfortable going makeup free whenever the mood struck and I definitely think that goal is within reach. (I&apos;m actually not wearing any in the photo below for the record.) The skin on my face and neck already feels softer. And I can definitely see an improvement in the texture! Did I mention you can use it on your hands too? That&apos;s next for me! Women so often forget about their hands when it comes to their anti-aging skincare routine and the hands can reveal one&apos;s age faster than your face sometimes! Next stop...twenty-five year old hands. Haha! If you&apos;re ready to fight that agings skin and try ReVit out for yourself, I have some great news for you! You can get 20% off your purchase with the discount code TRENDREVIT through September 30, 2015.